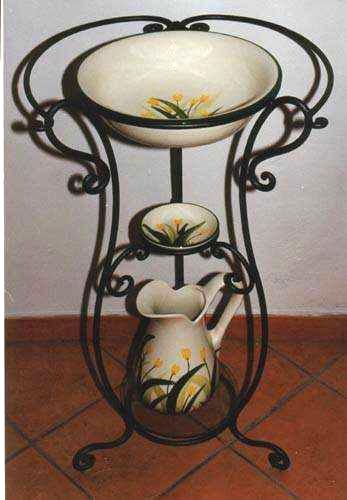 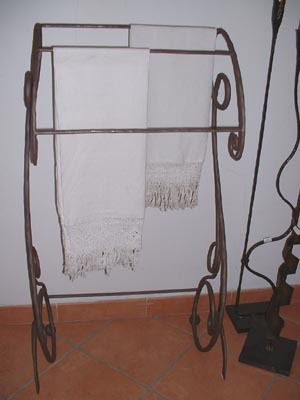 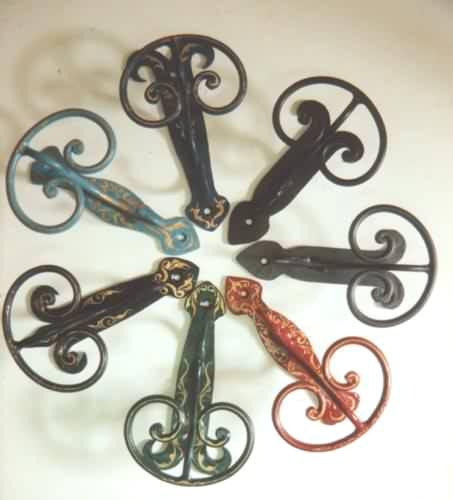 Furnishing accessories forged wrought iron hand may be used in any environment, the ability to create a specific object, practical and functional for a corner of the house, gives personality and enhances spaces unexploited. 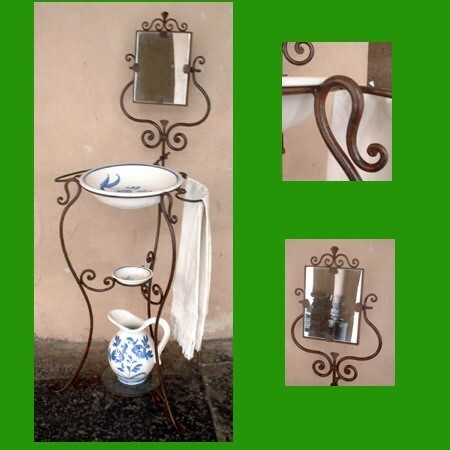 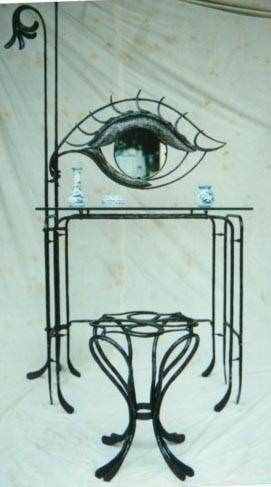 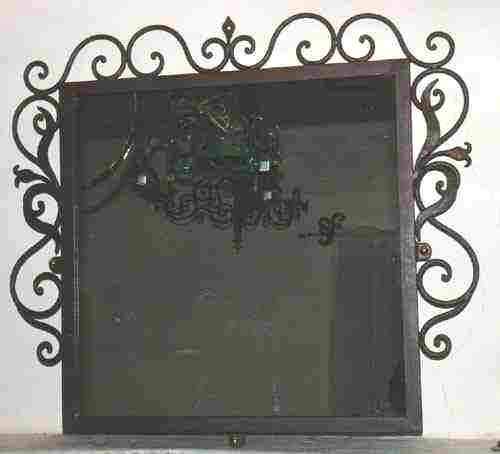 MIRROR FRAME frames forged wrought iron hand, for the bath but also to furnish a wall with originality and according to the space available. 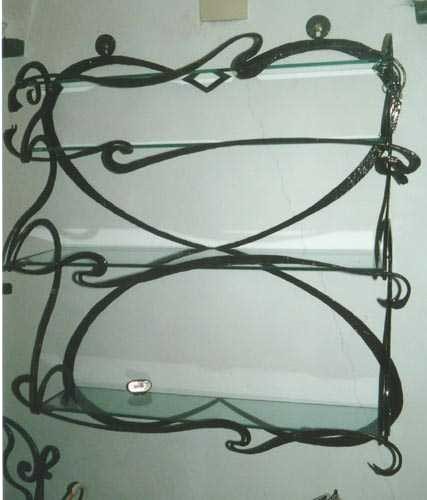 BOOKCASES SHELVES forged wrought iron, we produce original bookcases to measure, the structure may have a processing with desired decorations, that make it aesthetically pleasing and functional space to exploit. 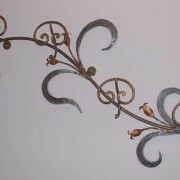 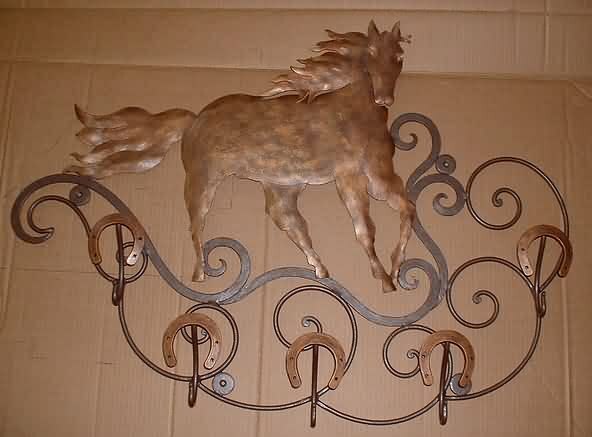 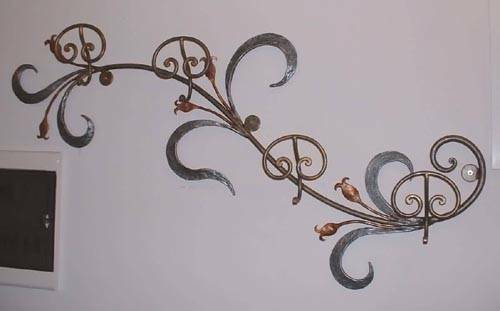 Shelves that we can make any shape and size, with hot forging allows us to model the forged wrought iron on designs are always original and personalized. 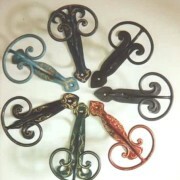 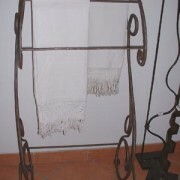 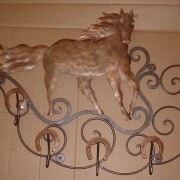 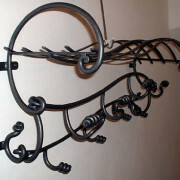 COAT HANGERS forged wrought iron manufacture tailored wall or vertical, you can highlight a wall or a corner of the home, with originality and functionality. 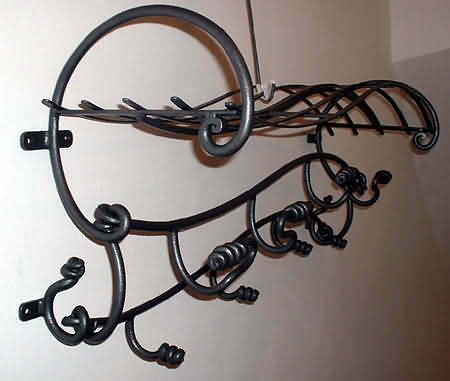 CANDLE HOLDER forged wrought iron and hot hand, always unique, with particular aesthetic value in completing refined furnishings. 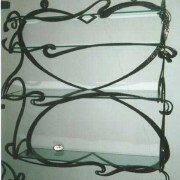 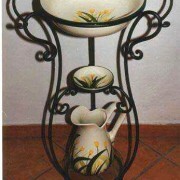 For a quote we need measures of the available space and also those of the object you want to accomplish. 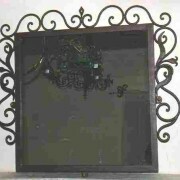 Very useful also a picture of the place where you will place the object. 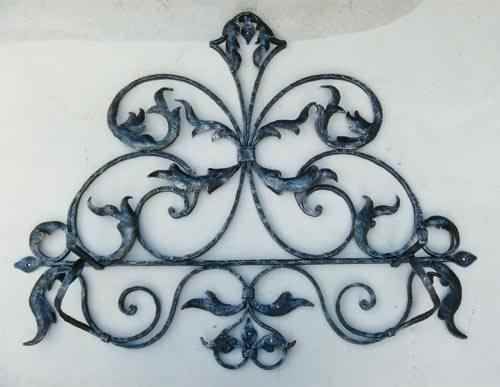 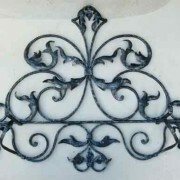 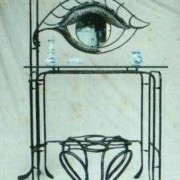 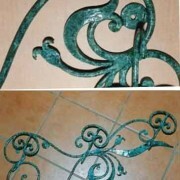 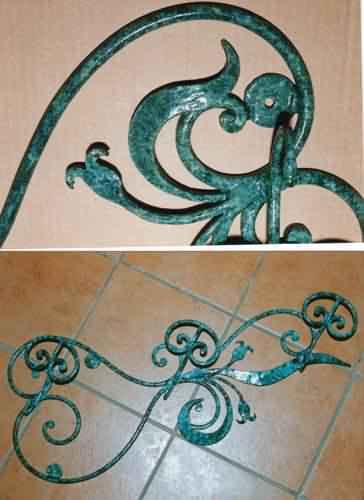 You can provide your own design or sketch your imagination, a picture or indicate the shape and what features you want in the design of your object forged wrought iron hot and we can provide our design.